Stay Ahead of The Game with Universal Robots. Get Collaborative with The e-Series Today - Allied Automation, Inc. 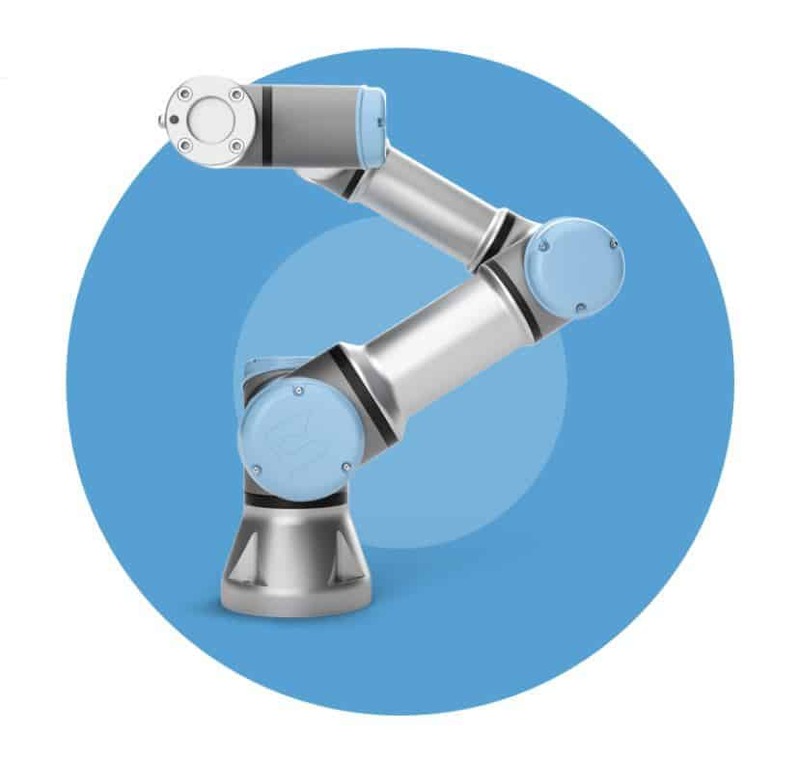 The e-Series cobots exemplify productivity, adaptability and reliability. Equipped with intuitive programming, versatile use and an almost endless list of opportunities for addons, the e-Series is able to complement production regardless of your industry, company size or product nature. Explore the possibilities of robotic deployment with Universal Robots. UR cobots are lightweight, space saving and easy to redeploy to multiple applications without changing production layouts. They can be moved between tasks quickly and are able to reuse programs for recurrent tasks, giving customers the flexibility to automate multiple manual tasks within one production facility even with just one cobot. Reduce robot deployment time from weeks to hours with Universal Robots. UR cobots do not require special electrical installations and can be connected to any regular power outlet. UR cobots are able to take over strenuous tasks in dangerous or dull environments to minimize risk in the production process. With our patented safety features, you can fuse the best of human ingenuity with robot competency for accelerated productivity and growth. Safety functions like customizable stop time and stop distance limits in our cobots can ensure safety when cobots work hand-in-hand with operators. Call us at 800-214-0322 for more information about our UR solutions.